Printable In Store: Bring this coupon in CVS Pharmacies and save $2 on your passport photos. Manufacturer coupons valid at grocery stores & pharmacies, you can also CVS coupons here. Tip: get an ExtraCare card to print coupons from their kiosk in store for extra savings (it's free). Some of my best savings were from their extra care coupon center. Enjoy a 20% discount on your purchase at your local CVS Pharmacy. Must present coupon at time of purchase. Receive a $5 discount on your $15 purchase at your local CVS Pharmacy. Redeem coupon at register. Receive a free Nivea A Kiss of Care & Color lip care item. Valid in-store. Visit their Facebook page, fill out a short form and receive a coupon for a free full-size body wash. While supplies last. 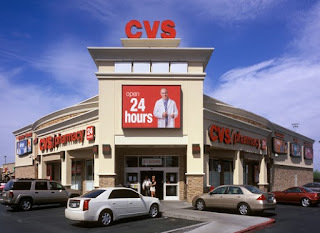 Whenever you are looking for a Pharmacy no matter what time day or night, you can rest assure that CVS will be open. Whether it's grocery items, photo prints, household products, prescription drugs, or even beauty products.. CVS has it all! What is more convenient than uploading photos right from your computer and picking them up at your local CVS? Not only is this service easy and fun, but with their CVS Photo coupons, it is now more affordable than ever before.. CVS also prints photo books, cards, stationary, calendars and much more. Shop CVS Photo through Mommy Saves Big and save.